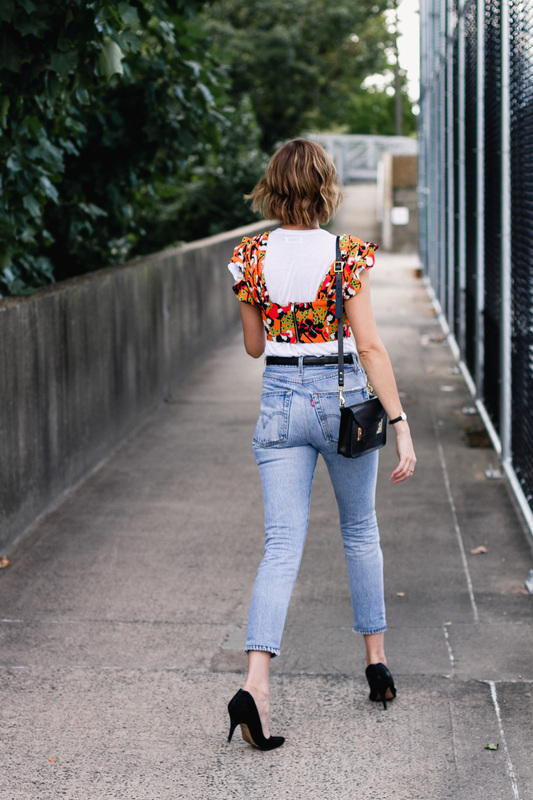 Transitional seasons are always a good time to try unconventional layering techniques and wearing a crop top over a t-shirt is a great way to get extra wear out of a warm weather piece. Also a great way to spice up an otherwise simple jeans and t-shirt outfit. I picked up this top over the summer and only got a chance to wear it a handful of times. Luckily, I think I like it more when paired with another top, so I don’t think I’ll be storing it away anytime soon. What unique ways do you like to layer when the weather gets cooler? 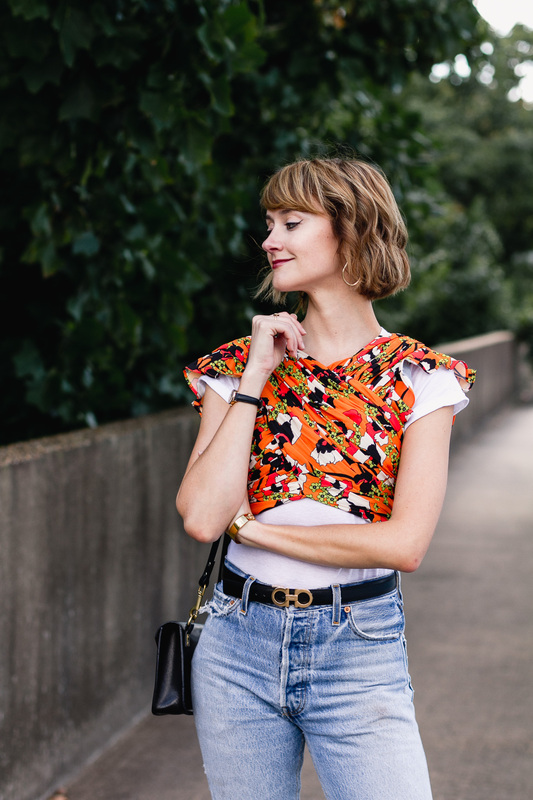 I just love the print of that top, it so fun and the orange is definitely great for getting into Fall! Can’t wait to see what else you pair it with! And those jeans are perfection! Such a fun way to style this. Love the cool layers! The layering going on the blouse is eye catching and It’s creative. What a unique way to layer! Thanks for sharing! I usually wear vests during the fall – my favorite! Love the way you styled this! The bright top with the black heels creates a stunning contrast and a chic look! SO chic! I never thought to do this, but I will definitely give it a try. Love any chance for creative layering and this looks absolutely fab on you! Love your style, looks so cool, thank you for sharing, you look stunning. The print looks great. It’s a fun piece to layer. I really like the look of the tops. Have a great weekend. What a cool way to style this crop top! Love the jeans too! Such a cute look! I am all about layering this time of year! I love this colourful crop top and how you styled it!